Breakfast is a pretty big deal. It’s the most important meal of the day! And we love the breakfasty foods. 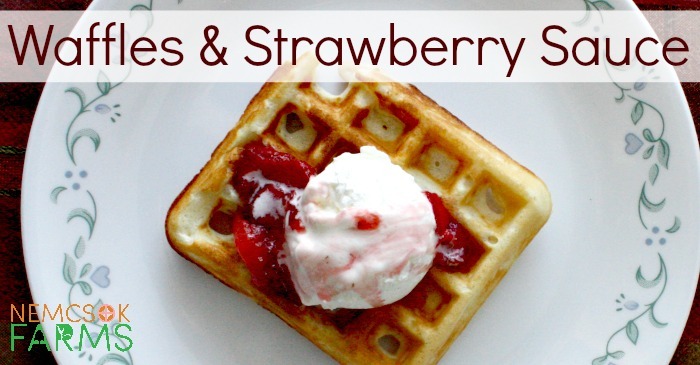 The large spreads with fresh fruit, whipped cream, pastries, yogurts, bacon, sausages… oh yeah. All that great stuff. But as much as we love the stuff, nobody seems quite too keen on waiting around for it. So froot loops it is. 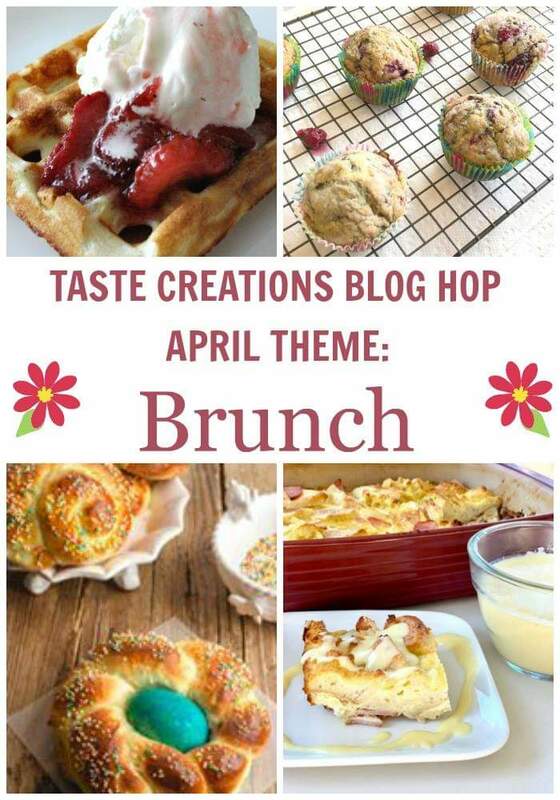 Also – Today my blogging friends and I are getting together for the Taste Creations blog hop! And you guessed it – the theme is Brunch. 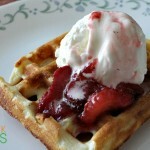 However, since we do all love those foods, we do often have breakfast for lunch and or supper. And everyone is happy, and I call that a win. We made our Rudolph Pancakes for supper a few times leading up to Christmas, and we go out of our way to find the breakfast all day restaurants when we travel. 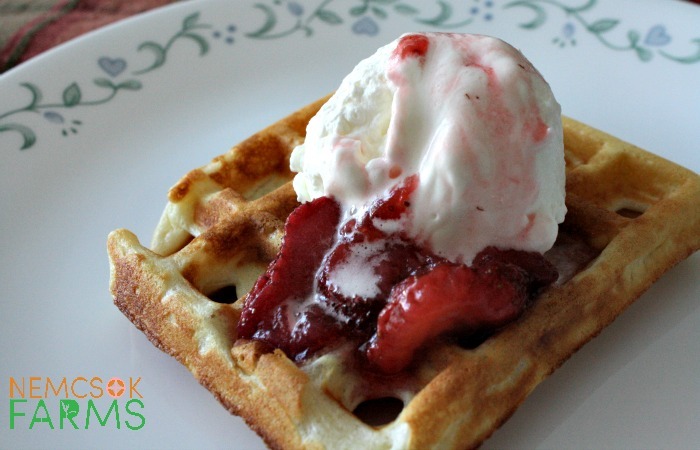 A super easy homemade waffle recipe topped with fresh whipped cream, and a happy spoon full of strawberry sauce and your family will be serenading you through to bedtime. Separate the eggs. Put the yolks in a mixing bowl, and put the whites in a separate bowl. Use a hand blender to beat the egg whites until they form peaks. Add the milk, flour, baking powder, salt and oil to the egg yolks and mix well. 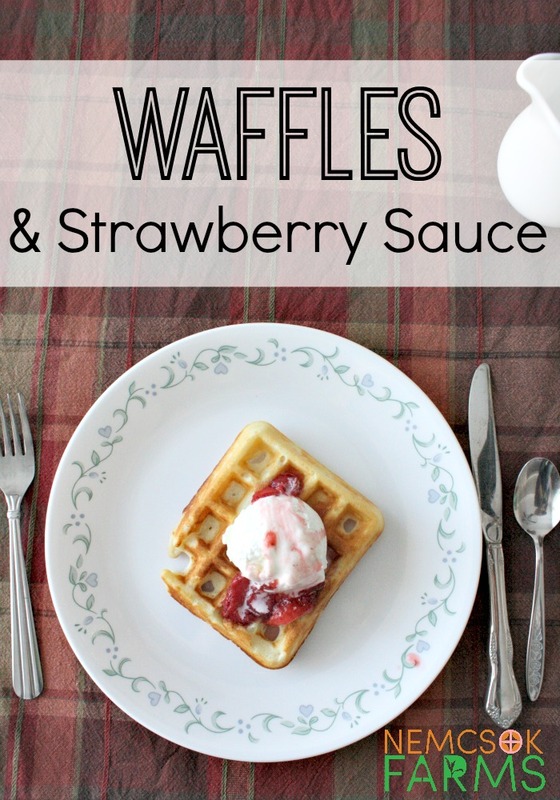 Served warm on top of waffles, french toast or pancakes, this sauce is the bomb. Put water and sugar into a small pot, and bring to a gentle boil. Stir in slice or chopped strawberries, and bring to a boil again. Let boil gently for 10 minutes, and remove from heat.